The day has finally come! We are very excited to announce that on Thursday, September 20, WeChat has implemented a new functionality that was eagerly awaited by many - the capability of following Official Accounts right from within Mini Programs. While following an Official Account after opening a Mini Program was technically possible before, it is now much more convenient thanks to a special button that can be inserted within Mini Programs. What does this mean for Mini Program and Official Account owners? Let's find out. The latest update to Mini Programs has brought one new component that can be added within Mini Programs: a button to let users follow the linked Official Account. As we can see in the image above, the Official Account linked to the Mini Program is clearly shown, with a prominent “关注/follow” button located next to it. This is a big improvement over the previous iteration. Before this update, when inside a mini program, the user needed to make 4 actions in order to follow the related Official Account: tap the 3 dots, tap about, tap brand info, and finally tap follow the account. As one can imagine, even knowing this path, the process was long and complicated. Many even did not know about it, so the chance of people following your Official Account after viewing your Mini Program was very low. But this new improvement to WeChat Mini Program opens new possibilities for brands. Mini Programs can now drive followers from Mini Programs to Official accounts. In the past, the process of following an Official Account from a Mini Program, as described above, was a difficult one, and more often than not, Official Accounts were the ones driving traffic to Mini Programs. It makes now even more sense for brands to invest in Mini Programs as a channel to drive followers to the Official Accounts, which can act as an engagement channel. KFC Official Account redirects users to its many Mini Programs - will we see the Mini Programs redirecting to the Official Account? The capability of driving followers from Mini Programs to Official Accounts will, in turn, revolutionize how brands conceive and utilize Mini Programs in their strategy: they can now effectively act as an entry point into the brand ecosystem. Expect to see more Mini Programs QR code at physical stores or on an advertisement, replacing your familiar Official Account QR Code. Last but not least, we can expect more emphasis on converting Mini Program users into Official Account followers. In order to achieve this, Mini Programs will need to provide reasons for users to become followers, adding promotions, red packets, and other benefits strategically placed in the Mini Programs to drive more conversion. Which types of Official Account will benefit the most from this change? While virtually all Mini Program owners will benefit from this change, there are some clear winners. Surely brands that had their main entry point in a Mini Program rather than Official Account will benefit greatly from this change. Restaurants, for example, offer Mini Programs at their physical locations which people use to order their meal, only to walk away after eating. Thanks to this change, they now have a way to find more followers via their Mini Program, for example by placing promotions right before finalizing the order. Also, brands that develop engaging Mini Programs as their entry point have the possibility to attract more followers. Imagine you open an ad on your WeChat Moments, which in turn opens a beautifully crafted Mini Program with engaging design and navigation - now brands can leverage that investment to make you become a follower. Can all Mini Program owners leverage this button and can they force conversion right after opening the Mini Program? All Mini Program owners can apply this new button, provided that it is to their Official Account. Also, owners will not be able to force conversion right after opening the Mini Program - users will need to give authorization by pressing the new button. What is the future of Official Accounts and Mini Programs? After this update, Official Accounts and Mini Programs are even more interconnected, yet their role in the WeChat ecosystem seems clearer than ever. On the one hand, Mini Programs are clearly there to provide a seamless interaction and great user experience. They cannot push notifications, but they can drive users to the Official Accounts. They are officially a way to provide a great experience and a service to users. Official Accounts, on the other hand, are more limited in terms of services they can offer directly, but they can push notifications, offer customer services, and can be used by brands as a channel to keep their users up to date with the latest news and promotions. Aurélien is an enthusiastic serial entrepreneur, coach for startups and other entrepreneurs, board of Director of EO (Entrepreneur Organization) and French Tech Shanghai. He has founded and currently manages several successful ventures. He is always very keen to meet new people and excited to learn from other success-driven entrepreneurs. 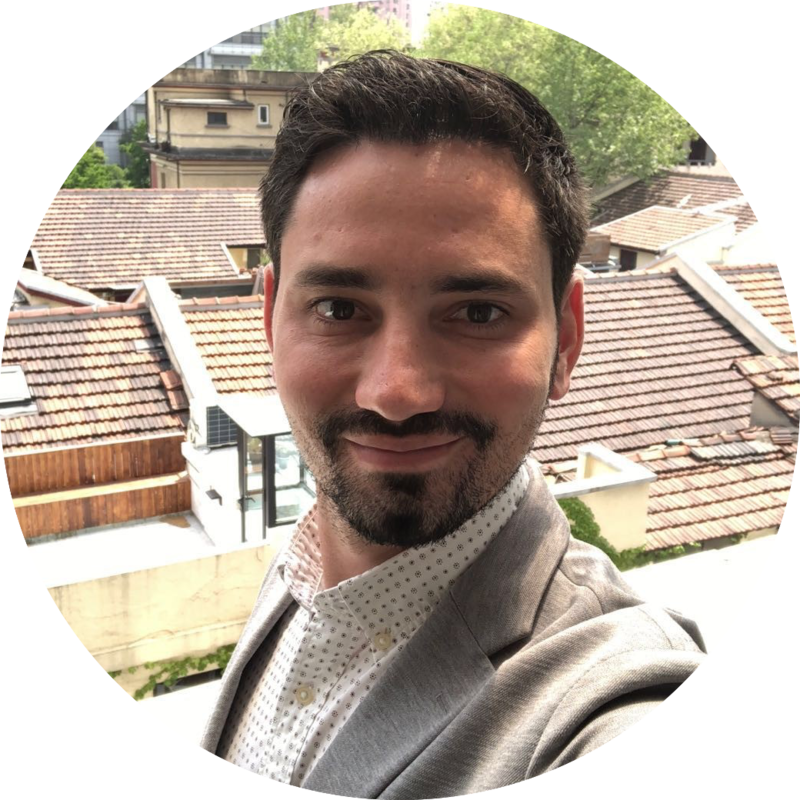 As Vice President and co-founder of IT Consultis, a team of 70+ people in 3 countries, Aurelien is responsible for the development and expansion of the company, leading the strategy, sales, and marketing departments.